As I sit here on a U.S. camp in Afghanistan, I recall the other day where I was listening to the stories of patriotic Americans who served at this station before me. It served as a reminder as to why I am involved with the SigEp Patriots Project (SPP) - simply, I believe the brothers who serve/served have stories that need to be told, and that their selfless service to the country needs to be remembered. Someone has to tell their story, and SPP looks forward to continuing to do so. This week, SPP honors, remembers and celebrates the lives, accomplishments and sacrifices of a record 32 SigEp Patriots from 27 chapters serving since World War I, including one brother who was killed in action in Vietnam. The Ohio State University Class of ’08 graduate and Ohio Gamma Brother Robert L. Tavenner was commissioned an infantry Second Lieutenant, U.S. Army National Guard (Ohio) on this date. Four months to the day when the Japanese would attack Pearl Harbor, Pennsylvania Mu Brother Joseph M. Becker entered the U.S. Navy. On this date, University of Washington Class of ’39 graduate and Washington Beta Brother Ronald S. Green entered the U.S. Army Air Corps. Pennsylvania Epsilon Brother Arthur C. Palmer entered the U.S. Army on this date. Arthur was a member of the Class of ’25 at Lehigh University. World War II Veteran and Delaware Alpha Brother Lieutenant Colonel Gerald H. Kadel, U.S. Army was discharged from his WWII service on this date. World War II Veteran and Massachusetts Beta Brother Colonel Kenneth G. Merriam, U.S. Army was discharged after more than four years of service. U.S. Army Air Corps World War II Veteran and Indiana Alpha Brother Edward E. Potts died on this date when the light plane in which he and a business colleague were flying exploded as they attempted to land in a cornfield during a violent thunderstorm near Union Bridge, Maryland. He was 41 years old. Respect can be paid to Brother Potts at Plot H-106, Forest Hill Union Cemetery, Piqua, OH. U.S. Army Veteran of the Border War & World War I, Colorado Delta Brother Max W. Bowen, 70, died on this date in Memorial Hospital, Colorado Springs, Colorado. During his WWI service, Max was in combat in France, before returning to Colorado. A dedicated community leader, he was a member of the Colorado School of Mines board of trustees for 12 years, as well as the former president of the Colorado Mining Association. Respect can be paid to Brother Bowen at Evergreen Cemetery, Colorado Springs, CO.
North Carolina Beta Brother Warrant Officer One Dayton W. Lanier, U.S. Army started his tour in Vietnam on this date. 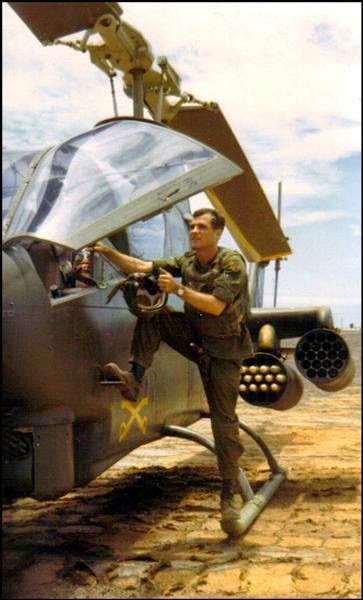 On this date, Vietnam War Veteran and North Carolina Beta Brother Warrant Officer One Larry James Talley, U.S. Army Reserve was killed in action while co-piloting his AH-1G (Cobra) when it came under hostile fire over Quang Nam Province, South Vietnam. He was 22. Brother Talley was serving with D Troop, 1st Squadron, 1st Cavalry, Americal Division, and began his Vietnam tour 41 days earlier. His awards include the Distinguished Flying Cross, Purple Heart, Air Medal, National Defense Medal, Vietnam Service Medal and Republic of Vietnam Campaign Medal. Larry is remembered on Panel 20W, Row 127 of The Wall – the Vietnam Veterans Memorial in Washington, DC. 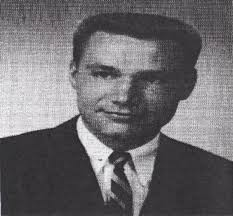 Respect can be paid to Brother Talley at Forest Lawn Cemetery and Mausoleum, Richmond, VA.
Vietnam War Veteran and Nebraska Beta Brother Staff Sergeant Robert G. Hansen, U.S. Army Reserve died on this date as a result of non-hostile contact in Thua Thien, South Vietnam. At the time, he was serving as an infantryman in C Company, 1st Battalion, 501st Infantry Regiment, 101st Airborne Division, and had been in country just over 2 weeks. Brother Hansen was 24 years old. He is remembered on Panel 8W, Line 91 of The Wall. His awards include the Bronze Star and Purple Heart. World War II Veteran and North Carolina Delta Brother Staff Sergeant Clifton R. “Tip” Faucette, Jr., U.S. Army died on this date. He was 88 years old. Tip served as a medic during WWII. Respect can be paid to Brother Faucette at Mountain View Cemetery, Ridgeway, Virginia. U.S. Army Korean War Veteran Pennsylvania Epsilon Brother Philip J. Sievering, Jr. died on this date in Berkeley Heights, New Jersey. The third member of the SPP official Facebook group – SigEps Who Serve – Operation Iraqi Freedom Veteran and Virginia Pi Brother Captain Robert May, Jr., U.S. Army retired on this date. U.S. Coast Guard Auxiliary Veteran and Tennessee Beta Brother Fred A. Allen III, died on this date. While a SigEp at University of Memphis, Fred served as chapter treasurer, and he was always proud to have earned Eagle Scout status. Following college, he began a career with the family business, American Fire and Safety Equipment Co., Inc. The company was started by his father and uncle in 1947. The family requests memorials be made to the Nashville Humane Association, 213 Oceola Avenue, Nashville, TN 37209. Respect can be paid to Brother Allen at Woodlawn Cemetery, Brentwood, TN. On this date, New Hampshire Alpha Brother Captain Timothy F. Farrell, U.S. Marine Corps, 35, died in Frankfurt, Germany while working for the State Department as Vice-Consul in the U.S. Consulate General in Frankfurt. After graduating from Dartmouth, Brother Farrell joined the Marine Corps in 1997, and was a decorated Marine stationed in San Diego, who deployed to Japan and the Mideast. He also served on the USS Harpers Ferry (LSD-49) as a logistics officer. At Dartmouth, Brother Farrell was a member of the track team. He was also elected to the All-Ivy League Team, First Team, in 1992-1993 and 1994-1995. In 1995, he received the prestigious Nathan D. Bugbee 1925 Track Prize. In memoriam, donations can be made to the Timothy Farrell Memorial Fund, Township of Ocean School District, 550 West Park Avenue, Oakhurst, NJ 07755, c/o Julia Davidow. 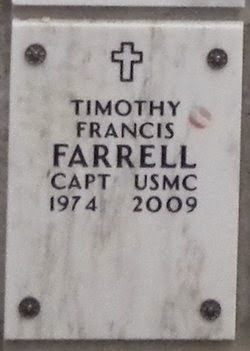 SPP has information showing that at least 38 SigEp Patriots share the hallowed grounds of Arlington National Cemetery in Arlington, VA, and respect can be paid to Brother Farrell at Section 7-B, Row 4, Site 1. World War II Veteran, Nebraska Alpha Brother and Past President of the NE Alpha AVC Colonel Addis T. “Tad” Ward, U.S. Army Reserve (Retired) died on this date in Scottsdale, Arizona after a short illness. He served in the U.S. Army during WWII, and in the U.S. Army Reserve from 1946 to 1983. Following his graduation from University of Nebraska-Lincoln, Tad was employed in a variety of positions at Miller & Paine from 1949 to 1988, starting as a Management Trainee and retiring as a Divisional Manager and Director. In addition to his continued volunteer work with SigEp, Brother Ward served on many boards and as an officer in many organizations including, president of the Executive Club of Lincoln, and commander of the Birkner Chapter of the Military Order of the World Wars. Nebraska Beta Brother Captain Raymond M. Beem, U.S. Navy Reserve (Retired), 76, died on this date in Charlotte, North Carolina after a long and valiant battle with cancer. After graduating with the Class of ’56 at the University of Nebraska – Omaha, Ray graduated from Officer Candidate School, and was commissioned Ensign, U.S. Navy. After four years of active duty, Brother Beem returned to Omaha where he had a successful career in material handling, and joined the Navy Reserve. Ray served an additional 20 years before his retirement. Due to some diligent record keeping by Brother Cory Butler, the SPP liaison at NE Beta, we know that Brother Beem was the 100th initiate of the NE Beta chapter. Ray was never without a library book in his hand. Folks at his local branch knew him by name. Therefore, in lieu of flowers, memorials may be made in memory of Ray Beem, to the Memorial Book Fund of the Charlotte Mecklenburg Library, 310 North Tryon St., Charlotte, NC 28202. 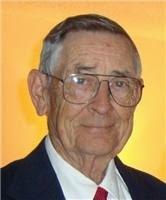 U.S. Army Korean War Veteran and Arkansas Gamma Brother James R. Sulcer, 83, died on this date at Baptist Memorial Hospital – DeSoto in Southhaven, Mississippi. James’ memberships included the VFW and American Legion. Respect can be paid to Brother Sulcer at Forest Hill Cemetery South, Memphis, TN. U.S. Coast Guard Veteran and New York Beta Brother Solon B. Kemon, 90, died on this date at Hartford Hospital in Connecticut. After proudly serving as a Commissioned Officer in the Coast Guard on Amchitka Island, Alaska, he graduated from George Washington University Law School, and joined his father’s law firm to practice Patent Law. He practiced law for 48 years and retired in 1996. In lieu of flowers, memorial donations may be made in Solon's name to Cornell University College of Engineering (https://www.giving.cornell.edu/give) or by mail to Cornell University, Box 223623, Pittsburgh, PA 15251-2623. Two Sigep Patriot Warriors were lost to us on this date last year. U.S. Army World War II Veteran & Prisoner of War, Pennsylvania Delta Brother Edgar A. Waite, Jr. died peacefully at home in Fort Washington, Pennsylvania. During WWII, Edgar served in the U.S. Army, and was captured at the Battle of the Bulge in Germany. He graduated from the Wharton School of Business, University of Pennsylvania Class of 1949. Mr. Waite was a lifelong entrepreneur, owner of several companies including Waite Drywall and was a real estate investor. Respect can be paid to Brother Waite at Hillside Cemetery, Roslyn, PA.
Two-time Vietnam War Veteran and Kansas Beta Brother Lieutenant Colonel Bruce E. Smith, U.S. Army (Retired) died in Peabody, Kansas at the age of 73. His awards include the Bronze Star Medal with oak leaf cluster, Meritorious Service Medal, and 16 Air Medals. Respect can be paid to Brother Smith at Section 51, Row 12, Site 18, Leavenworth National Cemetery, Leavenworth, KS. U.S. Navy World War II Veteran and North Carolina Delta Brother Thomas “Tom” E. Blair died on this date. After serving in WWII, Tom enrolled at University of North Carolina – Chapel Hill, and brought his leadership and experience to NC Delta graduating in the Class of ‘51. World War II & Korean War Veteran, Order of the Golden Heart Recipient, and Alabama Alpha Brother Sergeant Robert M. Cheney, U.S. Marine Corps died on this date. Near the end of WWII, Bob enlisted in the Marine Corps, served for three years, and got out in 1949 or 1950. He re-enlisted in 1951 and served during the Korean War until 1952. Brother Cheney graduated from Auburn University with a degree in Business Administration in 1954. World War II Veteran and Ohio Gamma Brother Ensign Lynn S. Kelley, U.S. Navy, 92, died in McLeansville, South Carolina on this date. After graduating from The Ohio State, Lynn joined the Navy as Ensign during WWII, and served aboard the USS SC 1280 – a “sub chaser” – off the U.S. East Coast. After the war, Brother Kelley got a job with DuPont, where he worked for 36 years. He was also active in the community with the Lions Club, volunteering with the American Cancer Society, and the Youth Baseball League. Respect can be paid to Brother Kelley at Grandview Cemetery, Bremen, OH. U.S. Navy Veteran Georgia Alpha Past President R. Douglas Wood died on this date in Savannah, Georgia. Brother Wood served as a supply officer on the destroyer minelayer USS Gwinn (DM-33) in Charleston, South Carolina from 1954 to 1956. Respect can be paid to Brother Wood at Bonaventure Cemetery, Savannah, GA.
*Two-time Vietnam War Veteran and Idaho Alpha Brother Lieutenant Colonel Clark D. Meek, U.S. Army (Retired) passed away 01 AUG.
Our thoughts and prayers go out to the family, friends and chapter brothers of SigEp Patriot Meek. While they are no longer with us, SPP pledges they will always be remembered. **Love is again in the air! Maryland Zeta Brother Lieutenant Junior Grade Ryan Hunt, U.S. Navy got engaged 03 AUG, on 09 AUG, U.S. Army Operation Enduring Freedom Veteran and Florida Iota Brother William “Chase” Busch got married, and Two-time Operation Enduring Freedom Veteran and TN Gamma Brother Staff Sergeant Tanner Kuth, U.S. Army (Retired) heard a “Yes!” yesterday and is now engaged. Congratulations to all the brothers, their special ladies, and their families!